A seminar on Interview Skills was held by MET IIT on 2nd of June, 2017. Mrs. Shraddha Patankar, a renowned HR professional at Enhanced Software Solution Pvt. Ltd. was the chief spokesperson for this seminar. 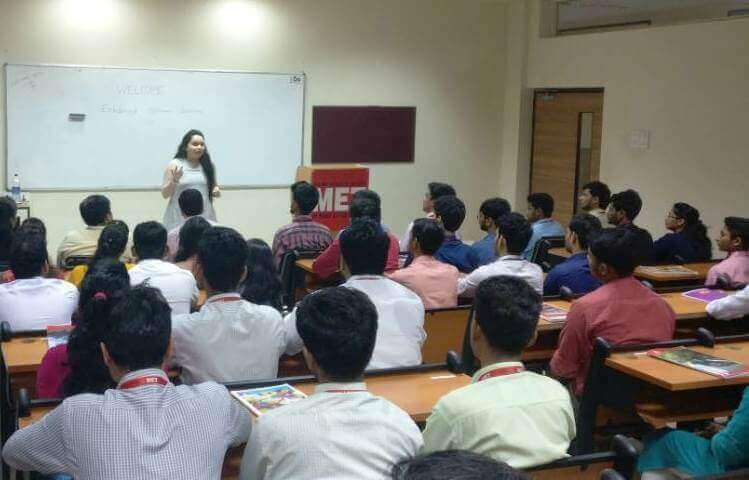 Mrs. Shraddha Patankar briefed the audience of 114 IIT aspirants on topics related to “Interview Skills, First impression is the last impression, From college life to a corporate life and Industry expectations from students.” The seminar was successful enough to clear misconceptions that our young IIT Aspirants had in their minds. Enhanced Software Solution Pvt. Ltd.
MET organised a seminar on ‘Networking and Cloud Computing. Renowned IT professional Mr. K.M Hussain, Consulting Systems Integrator was the Chief Speaker for this seminar. Mr. Hussain briefed the audience about the evolution of cloud computing and its benefits to business enterprises and common internet users. The engaging session shed light to some of the important terminologies and also clarified misconceptions that the bright IT aspirants had. The talk was concluded with a brief discussion of the advantages and disadvantages of cloud computing followed by a Question & Answer round.